The web offers many online space games that range from simple trivia quizzes to elaborate simulations. Games Area @ Peace in Space - The Guardians of the Millenium is a European educational site for kids to learn about Earth and space. Here is a link to their games area. See also the other interactive space activites. Sky Games - Sea & Sky offers several online Java space games. European Space Agency space games and interactive online fun. "is a game and a crowdsourcing experiment run by the Advanced Concepts Team of the European Space Agency aimed to improve the methods for designing interplanetary trajectories. We do not claim that computers are not able or are particularly bad at solving such problems. Rather, we think that 'watching' humans design complex interplanetary trajectories can be of help to improve the intelligence of computer algorithms"
Some on line games from NASA. NASA's Liftoff site offers this site full of online space games, quizzes, and activities for kids of all ages. SpaceYourFace.nasa.gov - A cute interactive dancing astronaut program. NetworKing - on line game that "depicts how the Space Communication and Navigation (SCaN) network operates"
"you'll experience the thrill of conducting NASA repair work on the International Space Station. After negotiating your way through the airlock, you, the astronaut, will be tasked with jobs critical to help power up the space station so it can continue to operate. First take your time to explore the station, but then it's time to get to work. You'll have to move quickly and carefully, with a limited quantity of oxygen you must complete your Extravehicular Activities (EVAs) and get back into the airlock before your air supply runs out. This video game features simulations of actual EVAs conducted by NASA astronauts on missions to provide power to the space station. The graphics used in this game are based on real NASA missions and incorporate 3D graphics used by the Agency." More at Build a NASA Satellite, Study the Universe Online - .universetoday.com - June.26.12. SolarPop is an online Java space colony simulator created by J. Craig Cleaveland (craig@thuntek.net). It is hosted by the First Millennial Foundation, which is dedicated to space colonization. "...is a non-violent psychologically-based, problem-solving leadership game set in space. It incorporates the insights of Hippocrates and it challenges you with making all day-to-day social and operational decisions. You are being sent to SpaceColonyH© as the Temporary Executive Director and if you decide correctly, you will be voted as SpaceColonyH©'s Permanent Executive Director..."
SpaceStationSim puts you in charge of creating the greatest wonder of the modern world, the International Space Station! Man's greatest engineering achievement in space... More than just a model – now you can create and manage your own living spaceship and crew! It was developed in cooperation with NASA, though this took quite a bit of effort to arrange as described in this interview. Galactic offers this "skill game" competition, which currently offers cash prizes but may eventually offer suborbital spaceflight tickets. Must be 18 or older. With this Java applet try to land on Mars while watching your spacecraft in a stereogram display. CNN's special site dedicated to John Glenns flight on STS-95 has this page of several online space games. Learn to fly - Max Games - direct a R&D project to make a penguin fly. Pardus - Free Browser Game set in Space - "Pardus is a FREE award-winning, real-time graphical game set in a futuristic universe that can be played right from your browser! Test your wits against thousands of others in this vast, persistent universe as you struggle to survive! Trading, pirating, smuggling, military ranking - how you play is totally up to you in this open-ended game set in space. Playable with all common web browsers - No downloads or plug-ins required!" Mike Hall and Rudy Rucker's Asteroids Applet - not educational but still fun. Space Colony by Firefly Studios - SIMS type game in which you manage a space colony. Strategy Online Games by Bigpoint | Play Dark Orbit! Images: Satellite Super Bowl - CNET News - Feb.2.06 - match satellite images of football stadiums with the corresponding Super Bowl champion team. Ezone! The place to play fun, free on-line shockwave games! Lots of web games and activities at this site supported by the Hubble Telescope center. Monthly game to test your space memoribilia trivia knowledge. Test your astronomy skill with this quiz at Stig Ottosen's SkyCalendar site. Test your remote sensing skills with this image analysis quiz presented by the National Air & Space Museum as part of its annual Geography Awareness Week activities. NASA's Liftoff Kids' Space site presents this space quiz. The Space Connection will offer two quizzes here on space exploration. 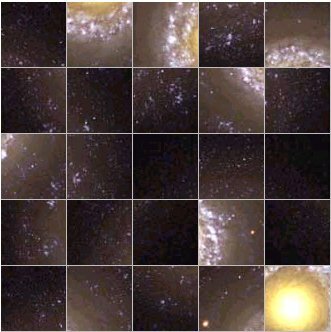 Several picture scramble puzzles as well as other space related puzzles. Test your space knowledge with this quiz from the Time/Life Space site. It doesn't take a rocket scientist to play Go for Launch!, but if your not careful you could become one! The Go For Launch! board game shows you how to prepare a Space Shuttle for launch as you journey through: Deep Space, Early Rocketry, Mercury, Gemini, Apollo, Apollo-Soyuz, Sky-Lab, Astronomy, Planetary Exploration, Space Shuttle, Mir Space Station, Space Spin-Offs and more! This game is fun for the whole family and great for classrooms. The Go For Launch! board game depicts Complex 39 of the Kennedy Space Center as it exists today. It is designed for one to four players or teams of players. The players can be assigned as Shuttle Commanders, Pilots and Mission Specialists. Each player obtains their mission instructions from the Commander/Pilot check list. The board game consists of nearly 500 full color photo question and answer cards (T or F and Multiple Choice), four plastic Shuttle game pieces, a pair of dice, instructions and category divider cards. The game takes the players from the landing strip through Space Shuttle Processing, Launch, Low Earth Orbit and back to Kennedy Space Center. The key to success is water in LEO (low Earth orbit). At first, water will be expensively supported out of the deep gravity well of Earth. But for a third the fuel and energy, water can be supplied from Luna, the moons of Mars, or other nearby hydrated objects. Extracting resources at the work site is called In-Situ Resource Utilization (ISRU). Whoever develops ISRU technology able to glean water from space rather than Earth will gain the strategic high ground to make money through exoglobalization. See also this preview of High Frontier at BoardGameGeek. The game's creator, Phil Eklund, describes how the game works in this video. "HIGH FRONTIER earns my highest recommendation of the year despite its accessibility issues. I think that any gamer with an adventurous spirit and a desire to witness how games can go far beyond sending us on yet another dungeon crawl or tasking us with impressing some European authority figure should buy it immediately. Games can have big ideas and make them part of our entertainment experience; they can challenge us to make tough choices and deal with consequences, and they can make incredibly complex science into something fun to enjoy with our friends and family. This game is about unexplored country, not only in outer space but also on our tables." In honor of NASA's 40th anniversary, play this space version of the famous Monopoly game. Other info from USAOPLOY, 1935 Camino Vida Roble, Carlsbad, CA 92008, 1-888-656-7306. "Mission I.S.S. is a game for 2 to 4 players based on the development of the International Space Station. Easy to learn, and fun to play, each player takes the role of one space administration and attempts to be the first to complete and launch the modules they are responsible for. There is only one problem, everyone else wants to be first too... Game comes with 74 cards 2 to 4 players.. ages 8 and up.. Game time ranges from 15 minutes to 1 hour"
Awarded a Best Toy award by Parents Magazine, this board game (see the catalog page) from Aristoplay is for kids 8 and older. "rummy type card game that is fun and challenging. Take a tour of the Solar System as you race to be the first player to complete The Grand Tour by exploring all nine planets and their moons. Learn about the planets, moons, and the myriad of strange and wonderful objects that share our neighborhood in space, while you play. Play it by yourself or with up to three of your friends. The game combines elements similar to some of your favorite card games, like UNO®, and Solitaire, into a unique format that is out of this world fun! It is easy to play and provides hours of educational fun for all players. Recommended for ages 8 and up"
"ASTROPLANE® is a fun game of strategy, logic, and competition. It’s easy to learn and fun at any level of expertise! Formulating strategies, players maneuver their astroplane spaceships thru Hyperspace, Wormholes and other astrophysical phenomena with the goal of controlling travel thru a Black Hole at the center of a galaxy. " The Final Frontier - Counter Strike > Mini Games of Cardstock Combat!